England's highest mountain, if not its loveliest space. A wealth of options, including some gorgeous approach walks. Note: negs: popularity of some of the best routes. 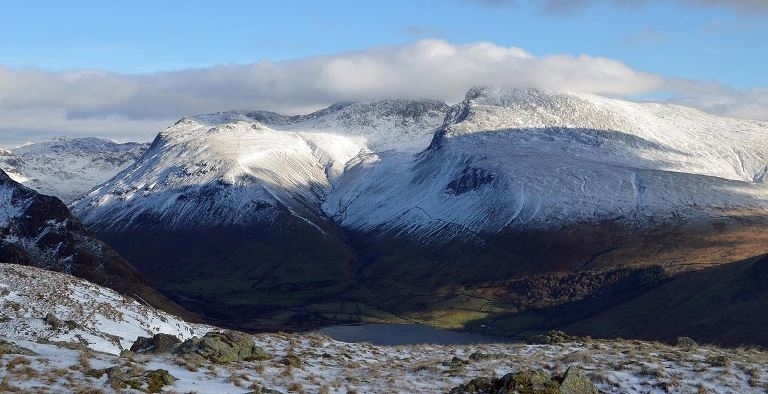 England's highest mountain (if not its loveliest) at a princely 977m, sits at the heart of a roadless mass of high ground which includes Sca Fell, Broad Fell and Great End, with Great Gable and Bow Fell nearby while you're at it. 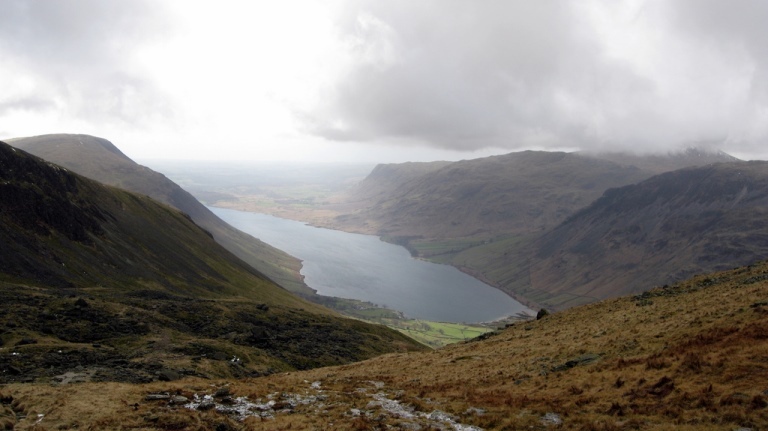 Scafell Pike is not easily accessible, so you'll face a longish walk in however you do it. And however you approach it, you will be in for harsh magnificence, tarns, lovely views down side valleys, and desolate, rocky tops. And the sorts of huge and gorgeous views (on a good day!) from the summit which will make it all worthwhile. 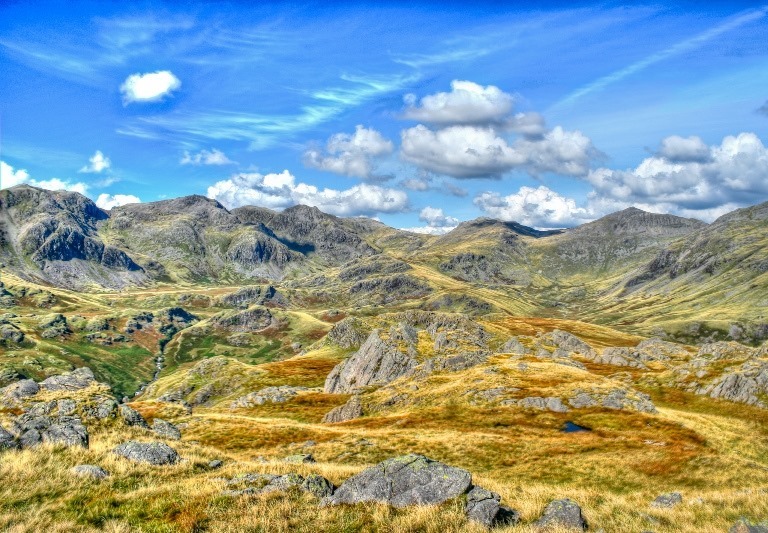 It is not, actually, the Lakes' best overall walk, but you'll be glad you tackled it - and it isn't THAT bad a climb, just with quite a longish walk to factor in. Note that wayfinding isn't that easy if the cloud comes down - Walkopedia got briefly disoriented in March 16 while in charge of two 13 tear olds, and it was disconcerting. 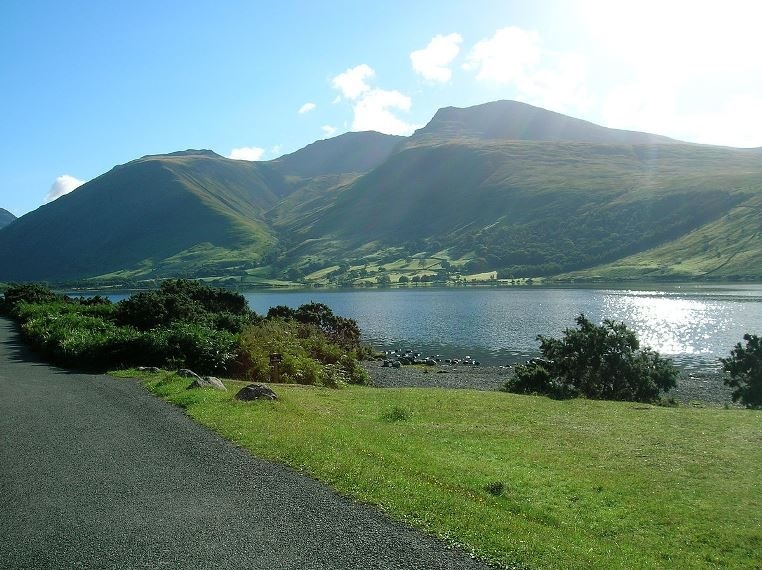 - From the head of Wast Water to the west. 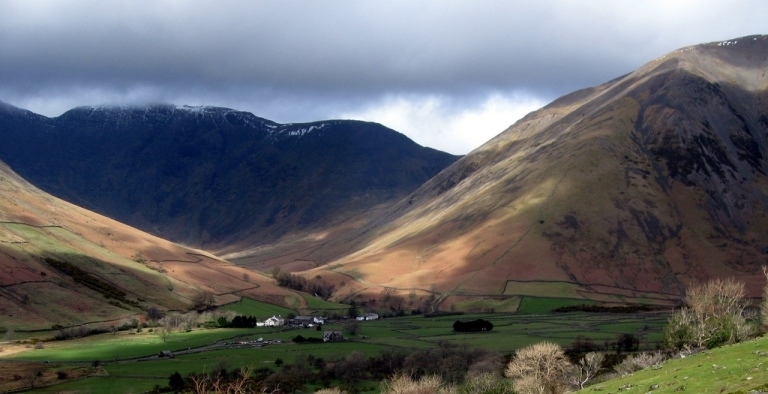 A shorter route, but a long and relentless climb (relieved by five views back over Wasdale) if you go direct. 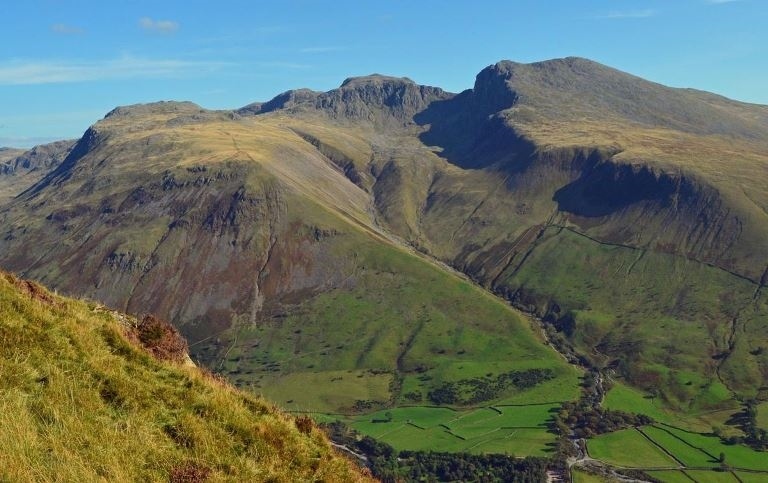 You could make a steadier ascent up the Lingmell Beck Valley to the north then traverse south on the superb Corridor Route between the crags (not for the vertigo sufferer) or round east of Great End and joining the route from Langdale. - From Borrowdale to the north: another lovely approach walk, then join the Corridor route or the second half of the approach from Langdale. - From Eskdale to the south: the longest and arguably the most demanding route of all, following the river Esk from just below Hardnott Pass right into the heart of the massif. The best scenery of all? 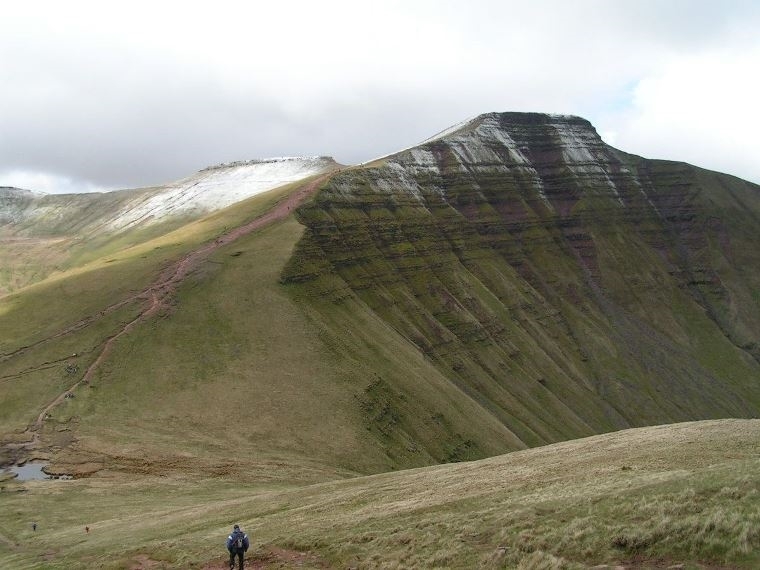 This is tough walking in rough mountains with famously uncertain weather, come prepared. 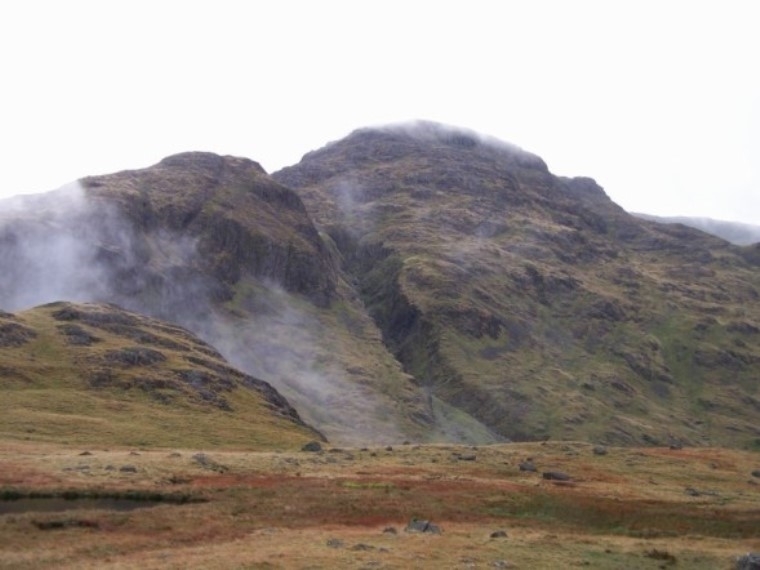 See our Lake District walk page.